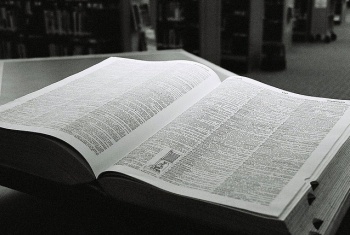 The Concise Oxford English Dictionary has officially been updated with a healthy dose of internet lingo. Published this month, the twelfth edition of the Concise Oxford English Dictionary has been updated to include over 400 new words. Among them are "retweet," "woot," "noob," "cyberbullying," "sexting," and many others related to social media and internet culture. "Mankini" also made the cut, thankfully. "Retweet that picture of me in my mankini or I'll sext and cyberbully you, noob!" is now a proper English sentence. The dictionary has also been updated with new definitions for the words "follower" and "friend" - the latter being ridiculously diluted by a certain social network. These additions, according to the folks behind it, "are just carrying on the tradition of a dictionary that has always sought to be progressive and up to date." It's important to note many of these words were already part of Oxford's online dictionary. The printed version in which these additional words will appear requires more time and deliberation between volumes. So, what does this mean for you, the gamer? If you've played Call of Duty: Black Ops for, oh, any period of time, you've certainly encountered homophobic, sexist, and racist children (and adults, too, sadly) who spit countless internet epithets your way without regard for the English language. Well, they're still homophobic, sexist, and racist. But now, thanks to the modernization of the dictionary, many of their insults will at least constitute proper English. So there's that.